The UCF College of Arts and Humanities, in conjunction with Seminole County Public Libraries, is a recipient of a $15,000 grant to host the NEA Big Read in Orlando next year. UCF is one of 79 organizations to receive a grant to host community activities based on Station Eleven by Emily St. John Mandel. Activities at UCF will take place March 15-April 15. 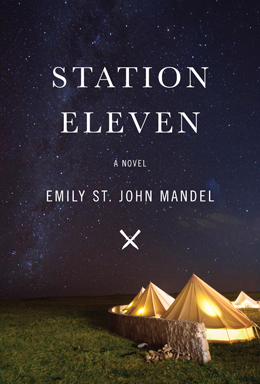 Station Eleven is a novel about the collapse of civilization after a devastating flu epidemic. An initiative of the National Endowment for the Arts in partnership with Arts Midwest, the NEA Big Read broadens readers understanding of our world, our communities and ourselves through the joy of sharing a good book. UCF looks forward to celebrating Station Eleven and connecting literature with the visual and performing arts. The university will host a series of events, including a keynote lecture, art exhibition, theatrical production and book discussions on the campus, throughout the Central Florida community, and as part of the annual UCF Celebrates the Arts festival—a showcase of visual and performing arts at the Dr. Phillips Center for the Performing Arts. Additionally, the Seminole County Public Library, the Public History Center and the Florida Department of Corrections will bring book-focused programs to K-12 students and marginalized audiences and focus on the ways in which the visual and performing arts enhance and enrich our daily lives. The NEA Big Read showcases a diverse range of contemporary titles that reflect many different voices and perspectives, aiming to inspire conversation and discovery. The main feature of the initiative is a grants program, which annually supports dynamic community reading programs, each designed around a single NEA Big Read selection. Since 2006, the National Endowment for the Arts has funded more than 1,400 NEA Big Read programs, providing more than $19 million to organizations nationwide. In addition, Big Read activities have reached every congressional district in the country. Over the past 11 years, grantees have leveraged more than $44 million in local funding to support their NEA Big Read programs. More than 4.9 million Americans have attended an NEA Big Read event, approximately 82,000 volunteers have participated at the local level, and 39,000 community organizations have partnered to make NEA Big Read activities possible. The Big Read provides communities nationwide with the opportunity to read, discuss, and celebrate one of 37 selections from U.S. and world literature. The 79 selected organizations will receive Big Read grants to promote and carry out community-based reading programs. The NEA has also developed high-quality, free-of-charge educational materials to supplement each title, including reader’s guides, teacher’s guides, and audio programming, all of which are available to the public.